Superintelligence Approaches: Bemoan or Rejoice? So far we've chosen the peril first, and planned for the promises second. With the technology yet to come, we must do better. We must prudently walk this road towards the promises, while avoiding the perils in their entirety. In the 21st century, we are walking an important road. Our species is alone on this road and it has one destination: super-intelligence. 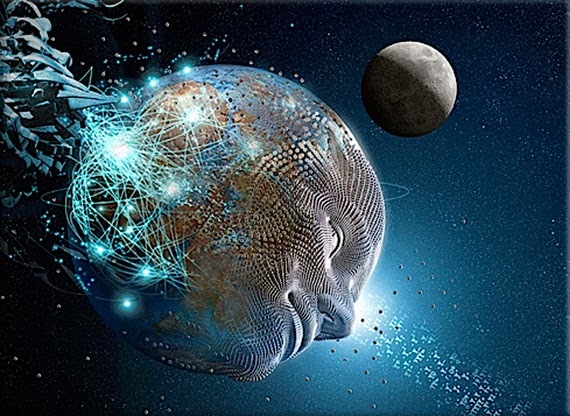 One conversation on the ever accelerating progress of technology and changes in the mode of human life, which gives the appearance some essential singularity in the history of the race beyond which human affairs, as we know them, could not continue. For thinkers like Chardin, this vision was spiritual and religious; God using evolution to pull our species closer to our destiny. For others, this vision was a fiercely secular and naturalistic technological utopia designed on scientific principles alone. The rapture for the nerds.